LOS ANGELES (AP) — In a matchup of injury-riddled teams, the Utah Jazz had more depth and made it matter. 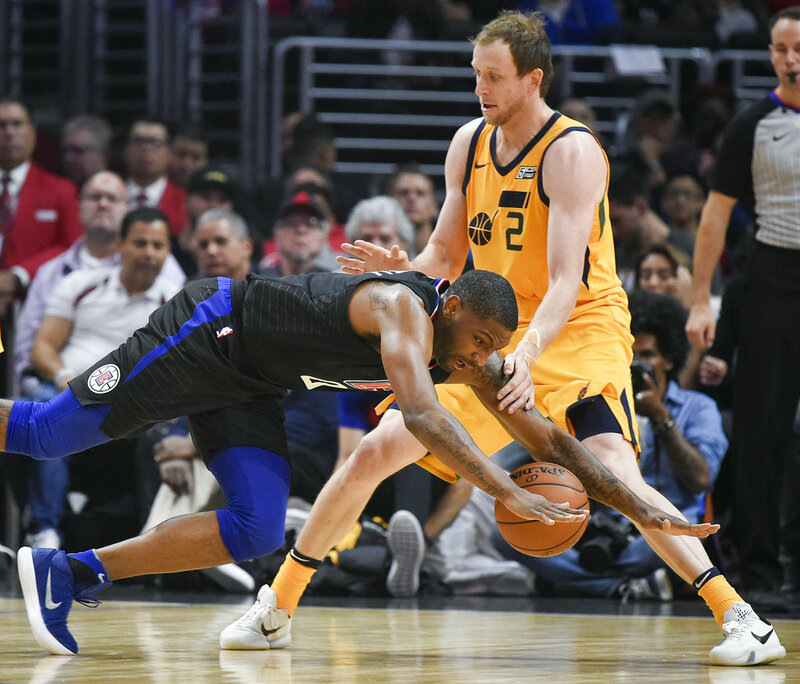 Alec Burks scored a season-high 28 points off the bench and the Jazz went on a 22-4 run early in the fourth quarter Thursday night to turn a one-point advantage into a 126-107 victory over the worn-out Los Angeles Clippers. It was the fourth consecutive victory for the Jazz, who were without four injured players — including starting center Rudy Gobert and leading scorer Rodney Hood. Still, seven Utah players scored in double figures. Rookie guard Donovan Mitchell had 24 points and six assists. “I think we’re just scratching the surface with how good we can be,” said Jonas Jerebko, who added 14 points. The Clippers played without four starters. Austin Rivers led Los Angeles with 25 points, but only seven after the first half. Lou Williams had 20. “Lou and Austin were gassed a little bit and it’s tough when they had the ball the entire time,” coach Doc Rivers said. Utah ended up outscoring the Clippers 32-20 in the fourth quarter. Jazz reserves outscored their Los Angeles counterparts 49-30. DeAndre Jordan at center is the Clippers’ lone healthy starter. He finished with eight points and a game-high 16 rebounds. Clippers: Los Angeles’ injury situation is even worse. The Clippers are missing starters Blake Griffin (MCL sprain), Patrick Beverley (knee surgery), Danilo Gallinari (sprained ankle) and Milos Teodosic (plantar fascia). “Everybody just needs to do their job, play their role. The games won’t be 30-30, I guarantee you. Someone’s going to make some shots,” Rivers said. Despite scoring 126 points, the Jazz pointed to improved defense in the second half for turning a tight game into an easy win. “We came out in the second half and played with a lot more energy, especially on the defensive end,” said Derrick Favors, who had 12 points and 12 rebounds. Still, the Clippers shot 54.3 percent overall. The Jazz were a more methodical team when they played the Clippers in October and lost 102-84. Utah ran more on Thursday and had 12 points off its fast break. Jazz: Return home Friday to play the Pelicans. Utah is 18-8 in Salt Lake City against New Orleans. Clippers: Travel to Dallas to face the Mavericks on Saturday. Los Angeles has won eight of the last 12 meetings. Tags: #LosAngelesclippers, #utahjazz. Bookmark the permalink.